Zombieland 2 has started adding members to its cast as production nears. 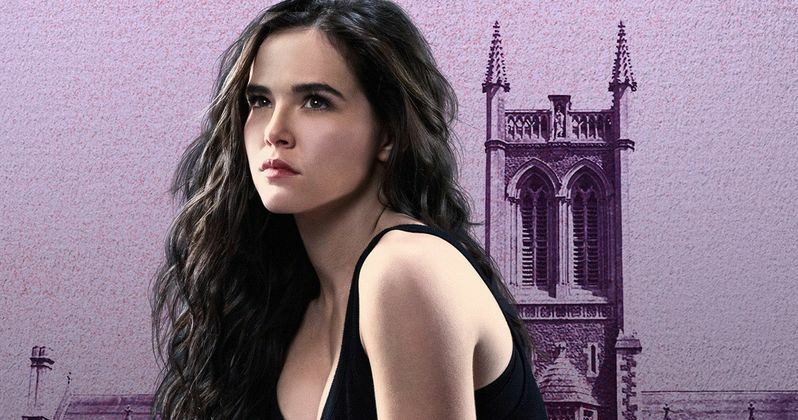 Zoey Deutch, star of Netflix's The Set Up, is the first new cast member to join the highly-anticipated sequel, which is finally getting underway nearly a full decade after the original was released. At the present time, no details have been revealed about Deutch's character in the follow-up, but she's going to join the original Columbus, Wichita, Tallahassee and Little Rock on their next adventure in the post-apocalyptic zombie wasteland. Director Ruben Fleischer, who also directed the original, is returning to helm the sequel. Writers Rhett Reese and Paul Wernick, who penned the original and have since gone on to pen the Deadpool movies, as well as Life and several other major projects in the years since, also returned to pen the screenplay for Zombieland 2. Fleischer most recently directed Venom, also for Sony, which wound up, against all odds, becoming one of the highest-grossing movies of the year overall and one of the biggest comic book movies ever. So he and the duo of Reese and Wernick seem to have the touch of gold on their side currently. All four of the core original cast members, Jesse Eisenberg, Woody Harrelson, Emma Stone, and Abigail Breslin, are set to reprise their roles in the sequel. Part of the problem in getting the movie going over the years has been their schedules, as all of the cast members have gone on to have huge success, particularly Stone and Eisenberg. But the stars have finally aligned and, as previously reported, production is expected to get underway in January. With that in mind, we should be hearing more in regards to casting in the near future. As for Zoey Deutch, this represents a big break for her as it's her first significant role in a major blockbuster. Deutch recently starred in Netflix's hit rom-com The Set Up, in addition to roles in The Disaster Artist and The Year of Spectacular Men last year. She's also set to star in the new Ryan Murphy series for Netflix, The Politician. While her character details haven't been revealed, we know Zombieland 2 will be picking up in the same world a decade later, with new hordes of super-zombies posing a major threat to any survivors. We're guessing she's gotta be pretty tough to have lasted this long in the zombie apocalypse. The first Zombieland was released in 2008 and did reasonably solid business for the studio at the time. The creators have tried to get a sequel going in the years since, but nothing has ever materialized. Amazon did air a pilot for a TV series based on the movie, but it didn't get picked up for a full season. Zombieland 2 is set to hit theaters on October 11, 2019, in time to mark the 10th anniversary of the original's release. We'll be sure to keep you posted as any further details on the project are made available. This news was first reported by Variety.